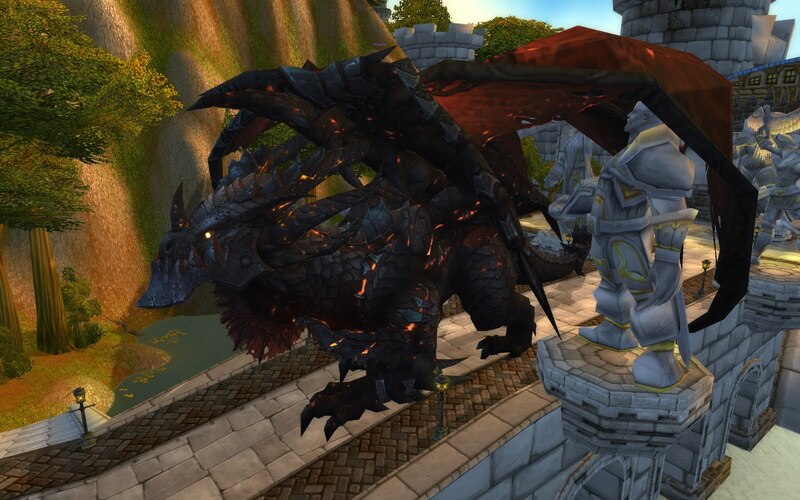 Here is another great leaked video from the Cataclysm Alpha. This one shows the Cataclysm Character Creation Screen which has been updated with Female Worgen and Goblin models as well as spell effects for various classes. I think it is a big improvement and am excited to see the finished Worgen Female textures. What do you think? Let me know in the comments. Also, don't forget to Follow the blog using the column on the right to stay up to date with the hottest Cataclysm leaks and updates. Check out this leaked video from the World of Warcraft Friends and Family Alpha showing the fantastic, though unfinished Abyssal Maw instance. Be sure to check the main page by clicking the banner above for other great Cataclysm Alpha footage. As always, there are more videos to come! Now that the Cataclysm Friends and Family Alpha is live, Blizzard has more than a few leaks on its hands. One of those leaks disclosed an early build of the new Druid talent trees for Cataclysm. Below, I will highlight all the changes coming to the Restoration Tree. For links to information about the Cataclysm Feral and Balance Talent tree changes, check out the links at the bottom of the post. It seems as if Blizzard is really trying to push players to use Regrowth, Healing Touch, and Swiftmend with greater frequency. To be honest, Efflorescence is such a cool talent, expect me to be casting Regrowth whenever reasonable. It is also becoming apparent that the days of spamming Wild Growth are rapidly coming to a close. Enjoy it while it lasts. I would be curious to hear what everyone has to say about the Tree of Life changes. Please post your thoughts in the comments. Now that leaks from the Cataclysm Friends and Family Alpha are just pouring out into the internet, I have been able to get my hands on a copy of the test build's talent trees. Below, I will break down all the talent changes coming to Feral Druids in Cataclysm. For links to reviews of Balance and Restoration changes, check out the links at the bottom of the post. Unlike the Balance Druid tree, the Feral Tree has not gotten much loving thus far in the Cataclysm Alpha. Do not worry though, I would imagine Blizzard just hasn't gotten around to working the Feral changes into the Alpha yet. I am certain there are plenty of changes to come, so stay tuned for updates.